Finally completed the video of my dive in Dubai mall aquarium today. Dubai is one of the main attractions of the middle east, and Dubai mall is one of the prime tourist spots. Dubai mall aquarium has a fish tank three floors high, contains 10 million liters of water and hundreds of sharks and various kinds of Ray fish. On 28th Feb 2015, I grabbed the opportunity of diving in this tank, and it proved to be a lifetime memory :-). This short video is the story of my Rendezvous with Sharks! The video was shot by my instructor in the tank with Hero GoPro 4. This is edited in Windows 8 Movie maker and the soundtrack is edited in Acid Express 7.0. Watch it on YouTube by clicking the image below. 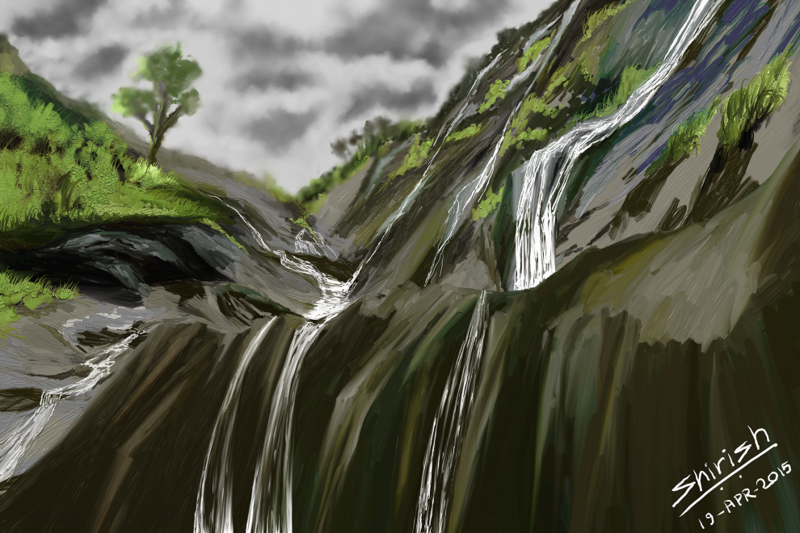 Painted in ArtRage Studio Pro. 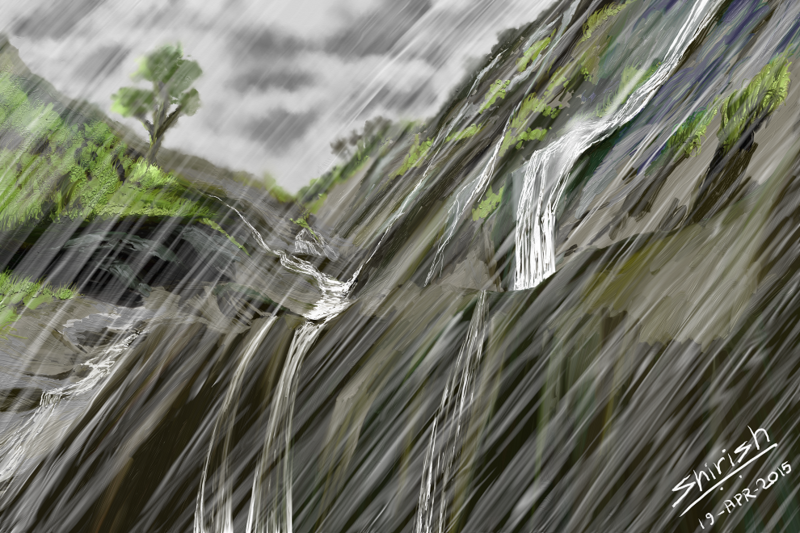 And this is the version with rains, just as I want it to be!